Just one more day, are you ready for the holiday? One of the treats that you think about for the 4th of July is ice cream. 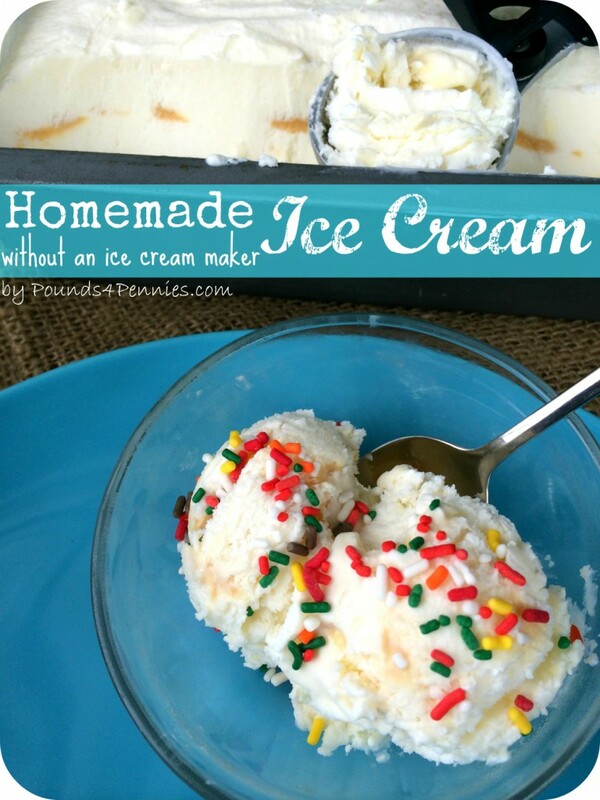 Pounds 4 Pennies shared a great way to make homemade ice cream without an ice cream maker. All you need is a few ingredients, and about 6-7 hours. You can make some in the morning, and it will be ready by dinner time. Be sure to stop over at Pounds 4 Pennies to see how to make your own homemade ice cream. Thanks so much Amy for linking up to Dare to Share! Thanks for featuring me. I hope everyone enjoys this simple frozen treat.